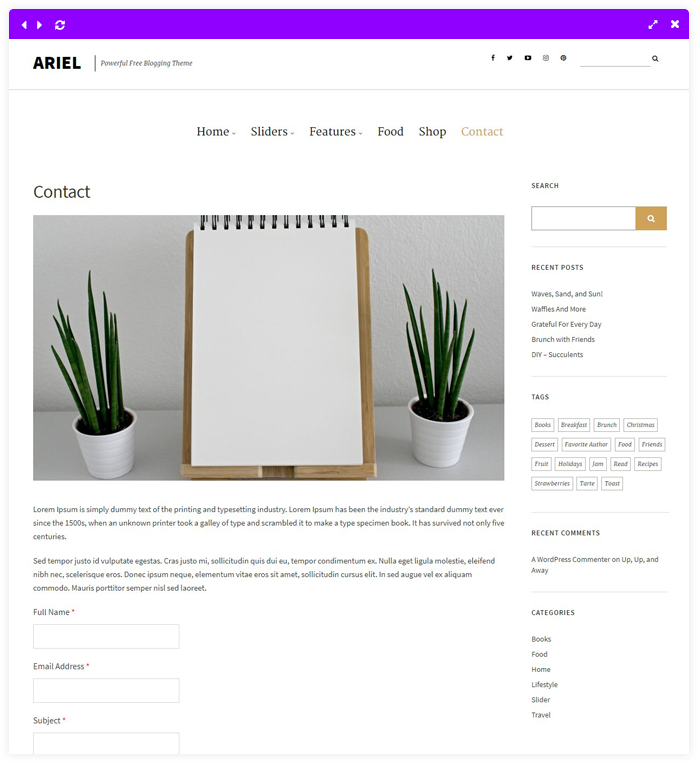 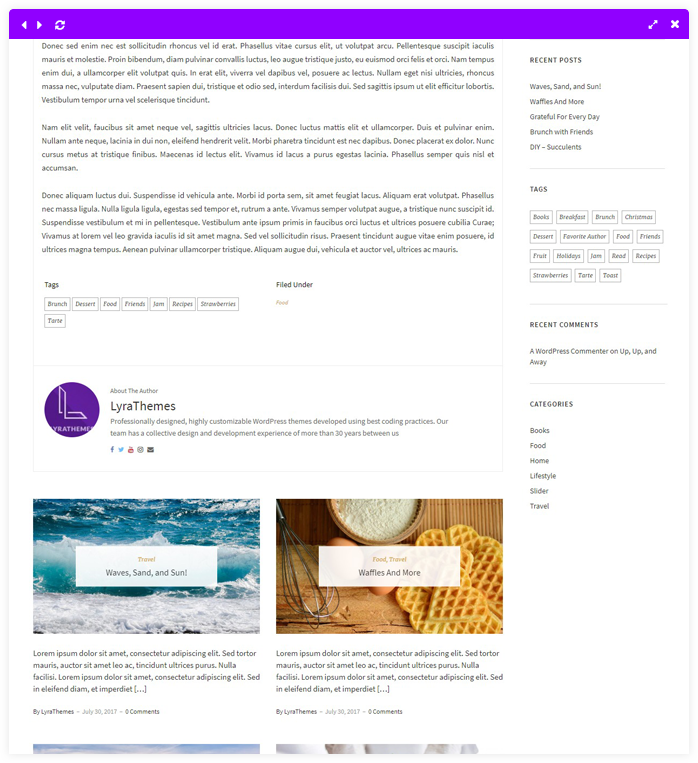 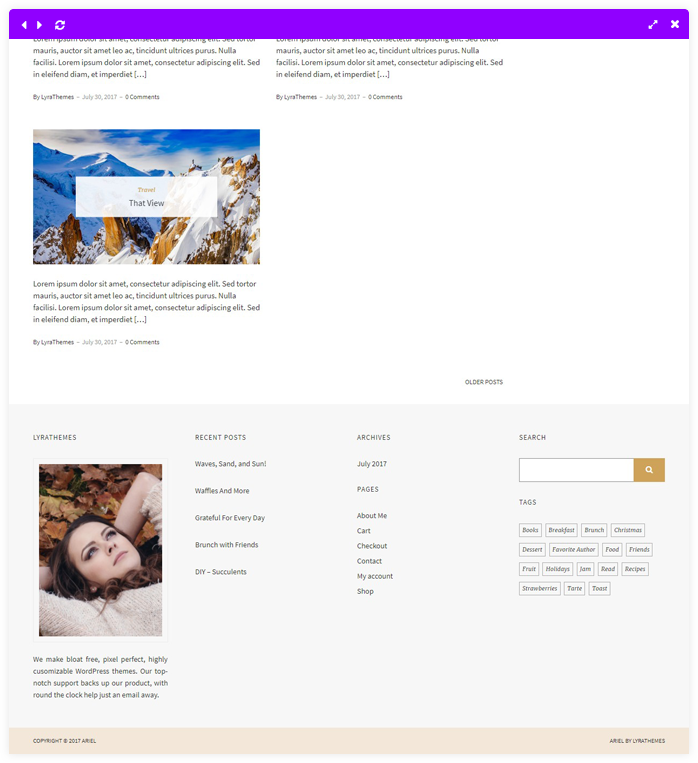 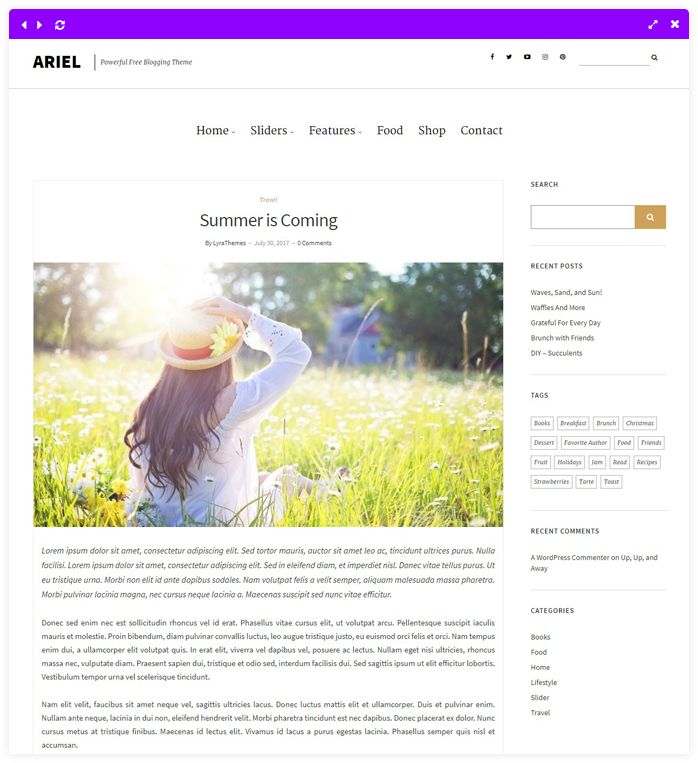 A FREE minimalist, elegant, highly powerful, and feature-packed blogging theme. 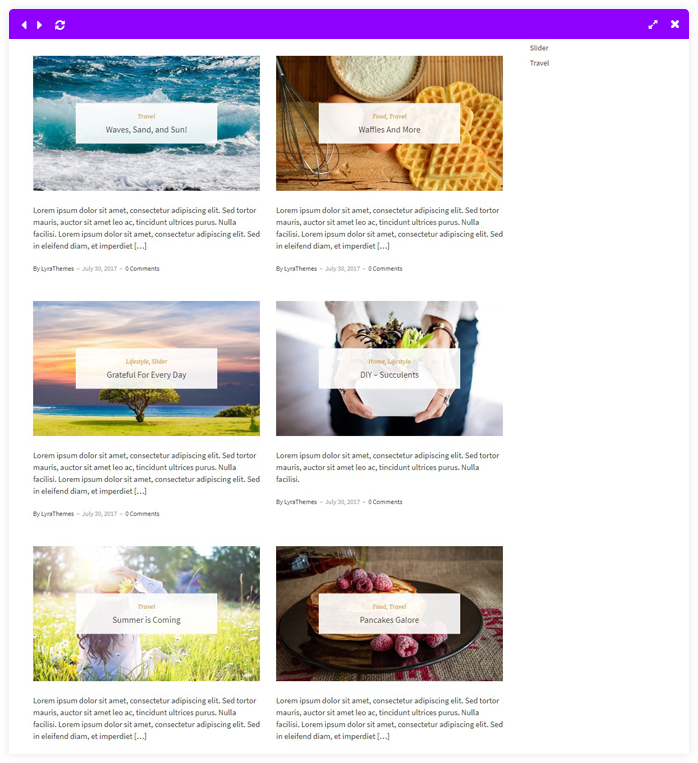 Super easy to set up and customize, perfect for bloggers from all walks of life, and suitable for all kinds of topics such as lifestyle, personal, food, fashion, or travel blogs. 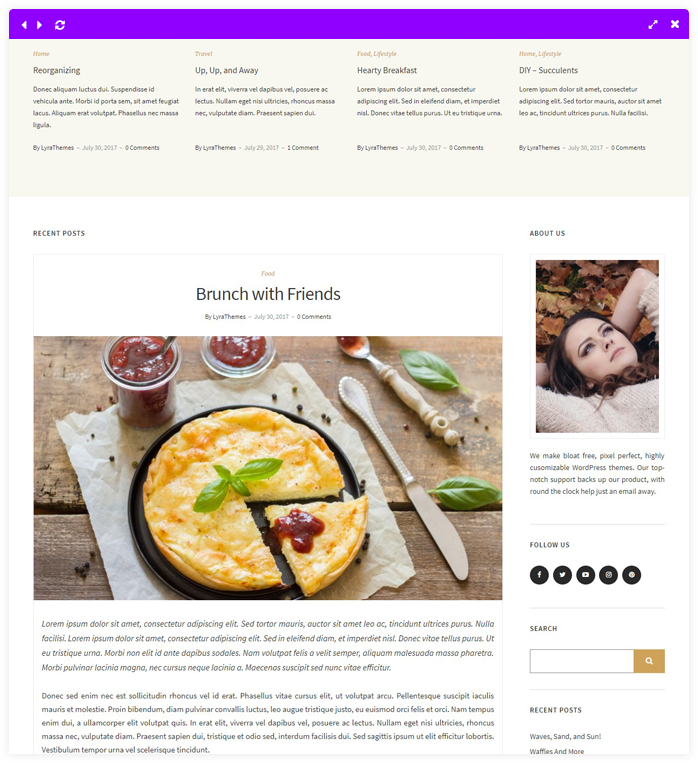 Elegance meets simplicity in this professionally designed and masterfully crafted powerful blogging theme. 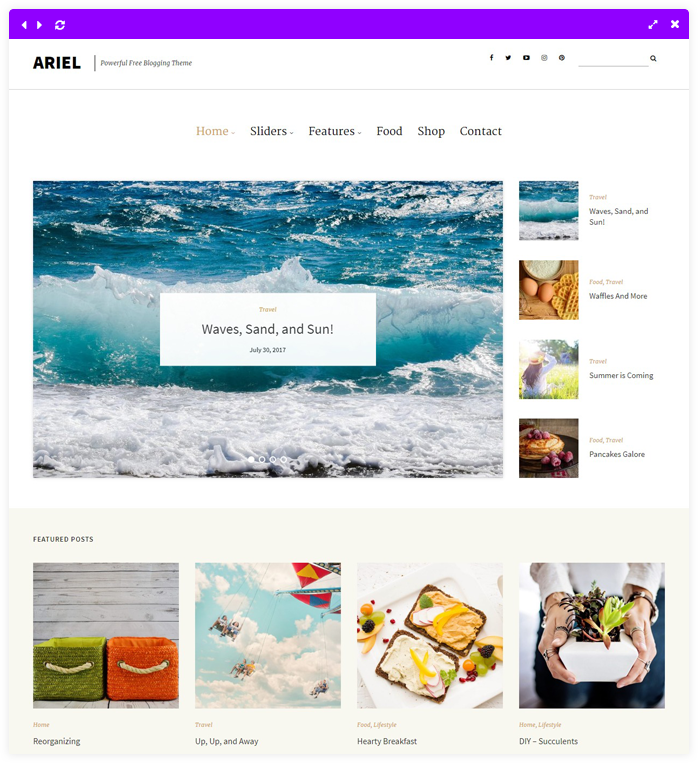 Upgrade to Ariel Pro for these awesome features!